OK a bit of self promotion here, but in my defence, it is crime fiction related. 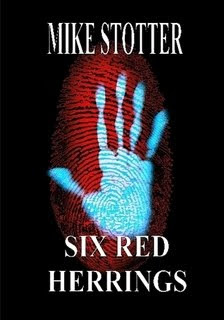 My latest anthology, SIX RED HERRINGS is now available from Lulu - either as paperback or downloadable. It was great putting this together as it allowed me to go back and revisit some of the previously published stories and tinker with them. And I must say I cringed a little at the earlier stuff. I did this with the western stories in Six Trails West. Get the idea that a theme is emerging here? Here is the direct link to Lulu.